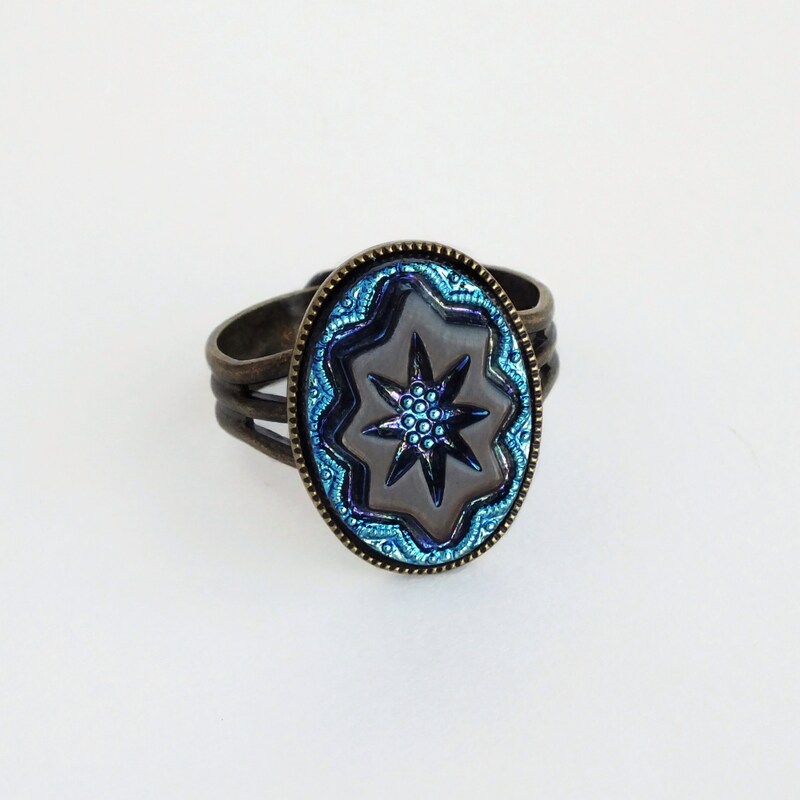 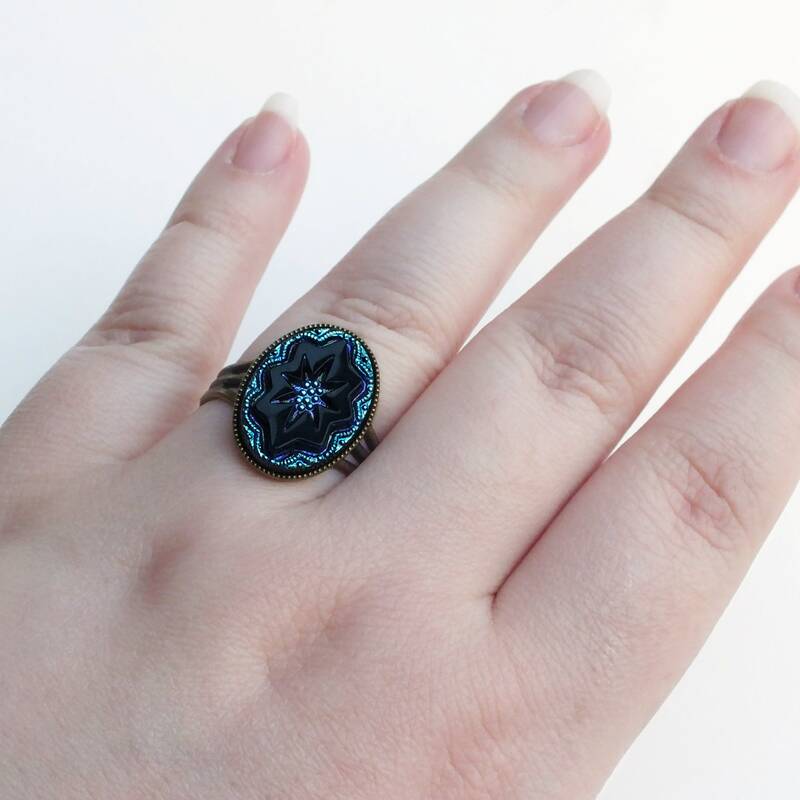 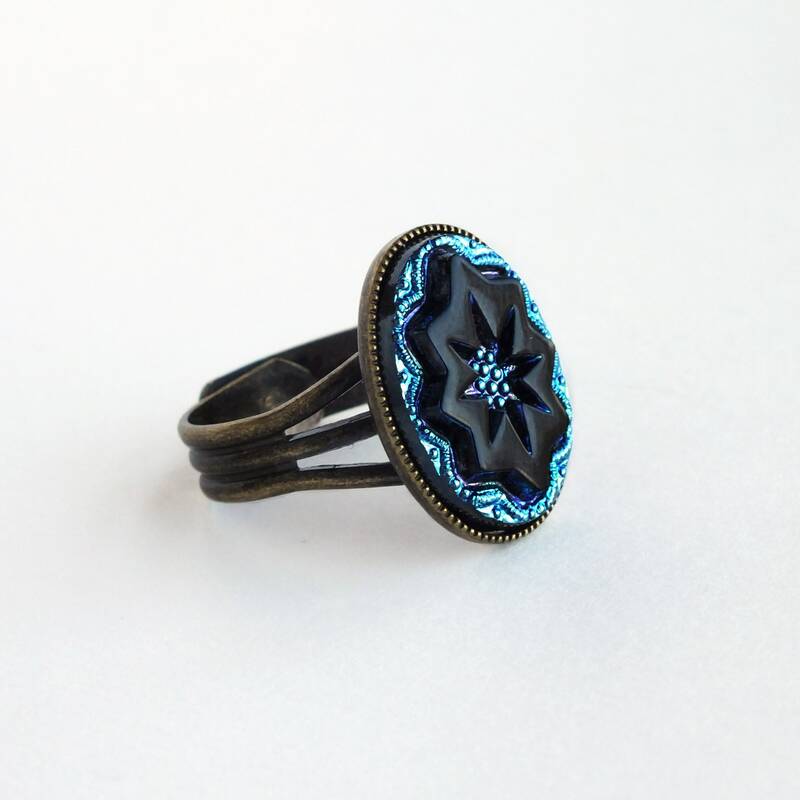 Handmade iridescent glass Art Deco star ring with vintage jet black carnival glass star cabochon. 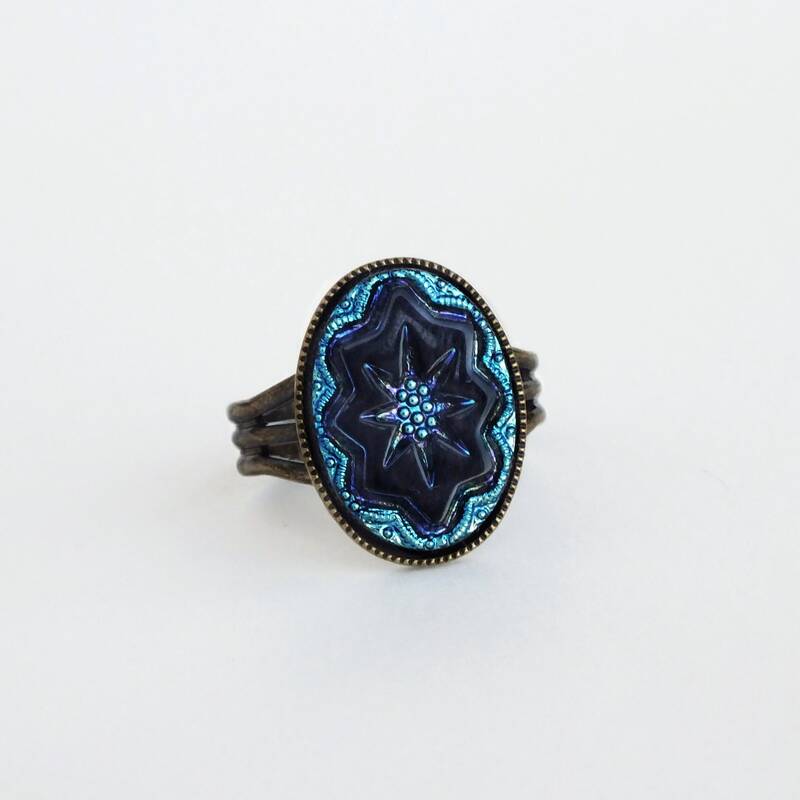 Made with a rare genuine vintage jet black cabochon carved with a star pattern with gorgeous iridescent rainbow carnival glass colors. 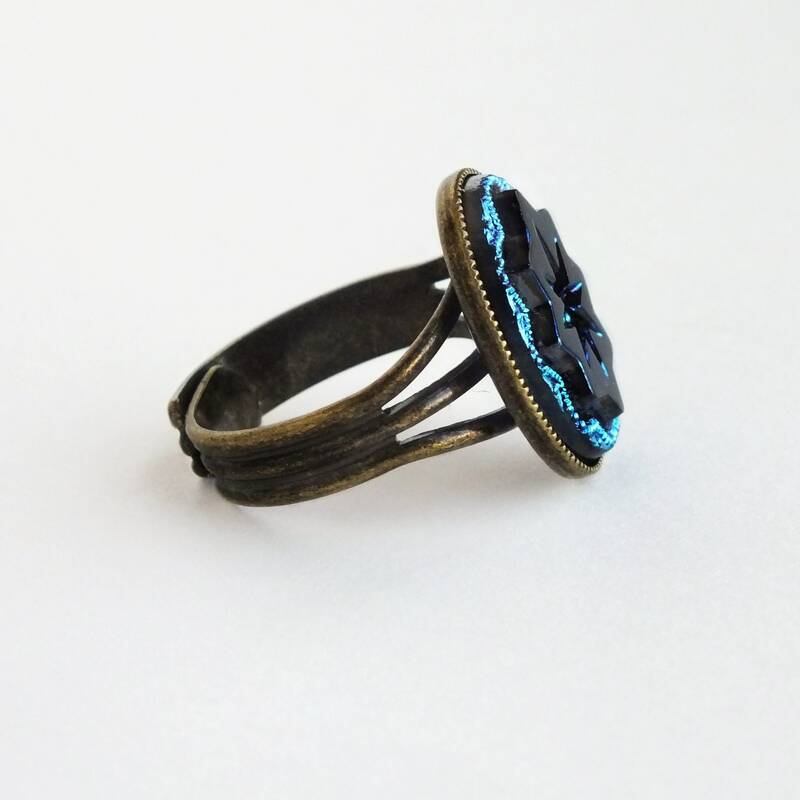 I set in a super comfortable nickel-free adjustable antique brass band.